Someone has been helpful to you and you need to say thanks, but there’s a slight problem. You are struggling with the right words. What can you possibly put in the thank you note/message you send to that person to express your appreciation? 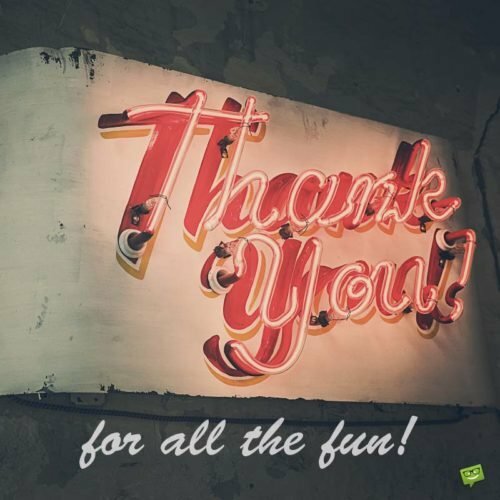 Fortunately for you, we have a huge list of simple yet fervent professional thank you messages that can help you show your gratitude to someone who has done you a favor. Alternatively, you can also use the messages in the list as inspiration to aid you in crafting your own unique messages of gratitude. Your cooperation meant a lot to me. I consider myself lucky to have had the opportunity to work with someone as amazing as you. Thank you so much. 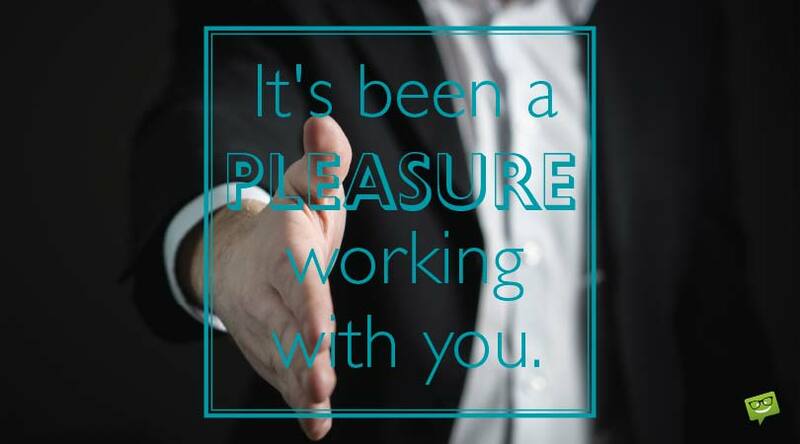 Working in close cooperation with you was an amazing experience. Words can’t express how much your collaboration meant to me. Thank you. Thank you for your invaluable partnership. It means the world to me. As we swoon in the joy of having accomplished this task, I say, “Thanks for being such a wonderful collaborator”. I’m eagerly looking forward to having future collaborations with you in the near future. Your contribution and participation are much appreciated. Thank you. We can’t seem to put into words how important your cooperation has been to us. Indeed we are so honored to have such a wonderful person/business/organization like you in our world. Thank you so much for everything. 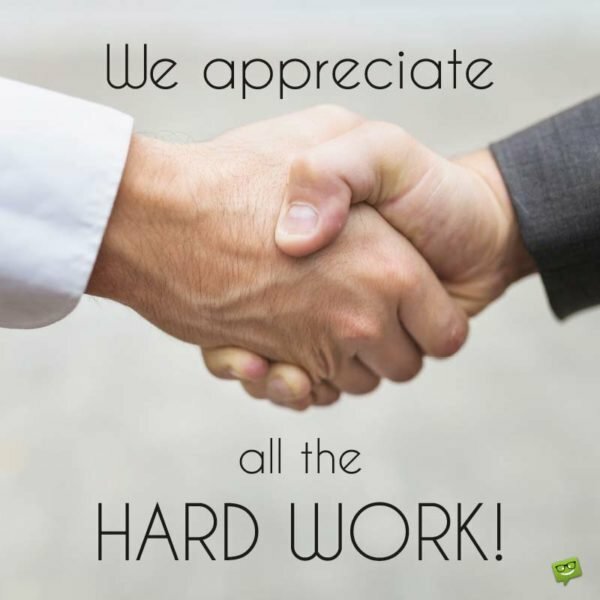 We appreciate all the hard work. Your diligence is so much valued and appreciated. You are truly a gem in this organization/company. The great diligence you display is rare to find. For that, we thank you sincerely. Thank you for your phenomenal diligence. It has been of great help to me. We are greatly impressed by the way you go about tackling your assigned tasks with such exceptional diligence. We thank you and urge you to continue this amazing course of action. We are beyond thankful for your diligence. Keep it up. Without question, you are one of the most valuable employees we have. We greatly appreciate the remarkable level of diligence with which you go about your tasks. Thank you for being such an excellent worker. This company/business can’t thank you enough for your outstanding hard work and thoroughness. If we had more employees like you with us, we would certainly move mountains. Thank you so much. Your diligence is nothing short of an asset to this organization/business. We hope you never forget that. Thank you for all you do for us. You have absolutely no idea how much your effort means to me. From the bottom of my heart, I say thank you. I deeply appreciate your monumental effort. Thank you so much for your helpfulness. I’m immensely grateful to you for all your efforts in ensuring the success of the project. Thank you so much. Thank you for the continued efforts you put into the success of our noble cause. We certainly would never have gotten this far without you. The success we are currently enjoying wouldn’t have been possible in the absence of your great effort. We thank you so much. Your effort made a remarkable difference. We can’t thank you enough for contributing it freely. Many thanks to you for sacrificing your time and energy in pulling off what is, according to us, one of our most remarkable achievements ever! Thank you so much; we greatly treasure every ounce of effort you have put into this victory. Couldn’t have done it without YOU! I would like to use this note to thank you for your highly effective feedback. The information you gave us was of tremendous value to us. Thanks once again. We appreciate that you took your time to gift us your feedback relating to our products/services/customer support. Thank you for writing. We thank you for sacrificing your precious time to provide us with your feedback. Your valuable contribution is much appreciated. We sincerely appreciate and value your very useful feedback. Thanks for giving it to us. Without a shadow of a doubt, your feedback is of immeasurable value to us. Thank you so much for supplying it to us. Your feedback is very important to us as it plays a crucial role in our growth. Thank you so much for providing us with this information of immeasurable worth. Feedbacks like yours are vital for the growth of our organization/business, and that is why we are so grateful to you for freely giving it to us. Thank you. Your feedback not only highlighted our weaknesses but also our strengths. Thank you so much for your highly constructive contribution to our success story. Your feedback is an important asset to this organization as it helps us in the formulation of major business decisions. We can’t thank you enough for your comments. Every feedback received is a prized treasure. Thank you for yours. Thank you for your precious feedback. It’s comments like yours that enhance our performance and keep us in business. We truly appreciate your rapid response. That was really thoughtful of you. Thank you. Thank you for your exceptionally swift reply. The information you provided was of great value to me. Keep up the good work. Your timely response to my request/inquiry is greatly appreciated. Thank you for the prompt answer. I’m truly grateful for the quick and insightful response. I would like to thank you for not only giving me a quick response but also for filling it up with all the vital information I needed. I’m most grateful. Many thanks for the prompt/quick reply to my request/email. It was very helpful to me. Not even a thousand thanks will be enough to adequately thank you for the great help and support you offered me. You did a yeoman’s job in ensuring the success of the task. I really appreciate every ounce of your support. Without it, we definitely wouldn’t be here celebrating this achievement. Thanks a thousand times. It’s been a pleasure working with you. 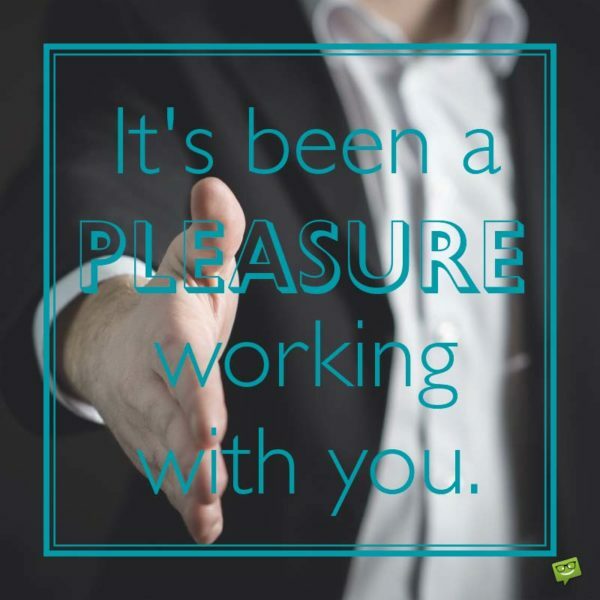 You have been most helpful and supportive. For that, we say thank you. Your support was the answer to my prayer. My sincere appreciation and thanks go to you for giving me such invaluable helping hand. 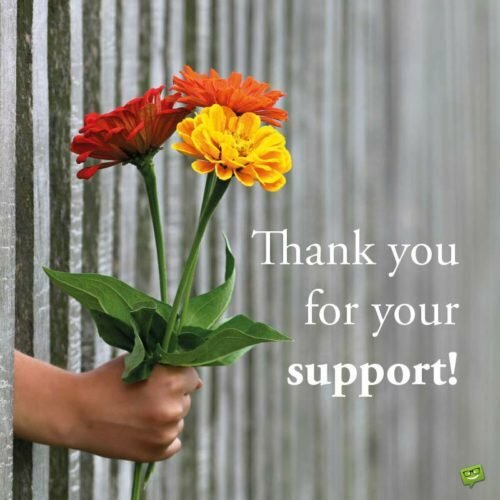 Thank you for going out of your way to help and support me. I greatly appreciate your immense kindness. Many thanks to you for taking the time to lend us an assist in our time of need. We certainly couldn’t have made it this far without you. We are absolutely grateful to have the help and support of entities like yours. The world will surely be a better place with more businesses/organizations like yours. Your contribution to the furtherance of our efforts is greatly appreciated. Thank you.